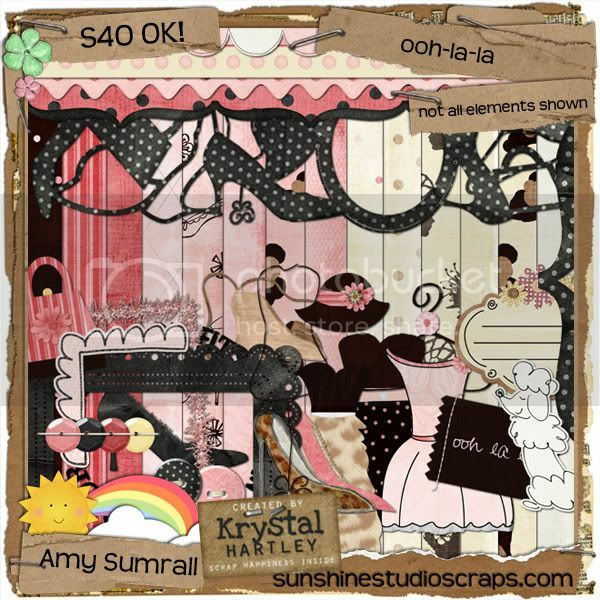 Isn't this collab beautiful by Amy Sumrall and Krystal Hartley? I think it is just gorgeous and already have a few ideas to play with it. Amy also has a super cute add-on on her blog. But I am gonna have you go to her blog to check it out! Don't you just love surprises?!!! I hope to have a layout with his kit before I go uo north...if not then I'll just have to take my laptop! Oh, yes. That is really a cute girlie kit.